It’s natural not to want to make plans for our own mortality, but we owe it to ourselves and our loved ones to do exactly that, and to do it without delay. Why? 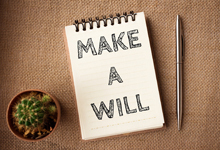 If you don’t make a will you forfeit your right (and duty) to ensure that your loved ones are properly catered for after your death. Your assets are distributed according to law, not according to your wishes. That could leave your family very vulnerable - see below. Note: The persistent myth that the state will grab all your worldly wealth if you die intestate isn’t true except where you leave absolutely no blood relations behind. If you’re in that unlikely situation you may want to skip down now to the “A final thought - leave the world a better place” section below. Similarly you may want to make special provision for any of your descendants who are particularly vulnerable - perhaps unable to fend for themselves through illness or handicap. So you’ve decided to buy your first house – exciting! There’s nothing like owning and living in your very own dream house, and if you choose wisely your home could well be one of your most important investments ever. Deposit: Unless you pay the whole purchase price in cash, you will need to raise a bond. You may qualify for a 100% bond, otherwise be ready to pay at least 5% - 10% of the price as a cash deposit. Of course there may be benefit in paying more if you can afford it. Bond registration costs: The bank’s attorneys will register your bond and you will need to pay them the registration costs. The bank will also charge you a bank initiation fee. Transfer costs: Standard procedure (unless your sale agreement provides otherwise) is for you to pay the transfer costs, even though it is usually the seller who chooses the conveyancing attorney. Transfer duty: This government tax is payable unless there’s VAT on the sale, and the sale agreement will almost certainly provide for you to pay it. No duty is payable on a property valued up to R900,000 and a sliding scale applies to houses above that threshold. Associated costs: Make a list - moving, redecorating, furnishing, Internet connections and so on. Don’t forget this step, these costs can add up alarmingly! So what’s your price range? Recurring and monthly costs: Rates/taxes/levies, homeowner’s insurance, water, electricity and so on. Provide also for both short- and long-term maintenance costs for both home and garden. Your bond repayments: This is the crunch - will you be happy with the lifestyle you can afford after paying your bond every month? When you first apply for a bond shop around for the best interest rate and – this is vital - be absolutely sure that you will always be able to afford the monthly payments, even when (not if) interest rates start rising again. Get a bank pre-approval here - with today’s restrictions on credit grantors when it comes to responsible lending practices, it will help you gauge affordability. And as a bonus, it gives you a great negotiating tool when you move on to the offer stage! Location, location, location: What area/s will you concentrate on? Where do you want to live? What sort of lifestyle are you after? What amenities do you want close by? Research the area – what are average selling prices in the suburb and is your budget up to it? Do houses in the area have a history of good value growth? What are crime levels like? Searching: With your price range and target area in mind, the “thrill of the hunt” is at last upon you! Online searches are increasingly popular but choose whichever channel or channels you are comfortable with. If buying in a community scheme: Check what Rules and Regulations you are letting yourself in for – you will be held to them. Make sure that the Home Owners Association or Body Corporate’s finances are sound (ask for audited financials and management accounts). Ask about any special levies or other planned expenditure on the horizon (get it in writing). Plans, defects and the rest: Ask for copies of approved building plans (check for any unlawful structures or deviations from plan), look for and ask about defects like leaking roofs, problem foundations etc - consider getting a full professional report unless you are very sure of your own abilities in this regard. Approach your choosing and purchasing decision as though it’s the most important financial decision you will ever make (it may well be). So now you’re ready to make your offer on a house. Excitement mounts – will the seller accept? Or perhaps counter-offer? You can’t wait to find out. You are presented with a Deed of Sale, a pen and a cheerful “just sign here, we’ll do the rest”. Take no chances here. Before you sign anything, have your lawyer check the paperwork for you, with a Deeds Office search for anything that may affect your decision-making such as restrictive title deed conditions, servitudes (giving other people rights over your property) etc, etc. Remember also that with property sales what counts is what’s in writing so tell your lawyer about any verbal undertakings or disclosures given to you. Here’s one more reason to never ever allow yourself or anyone else to drive when over the legal limit (for non-professional drivers, a breath alcohol content of 0.24mg per 1,000ml or a blood alcohol limit of 0.05g per 100ml). If you are caught by the police (statistically, a regular offender will be caught sooner or later – there are 75,000 such arrests in SA every year) your life could be destroyed even before you see the inside of a courtroom. Of course the police are duty bound to protect your fundamental rights whilst in their custody, but we’ve all heard the many nightmare stories of abuse and assault in police cells. A recent Supreme Court of Appeal decision dealt with one such case. A family man was arrested and charged with a number of very serious offences - driving under the influence of alcohol, reckless and negligent driving and failure to stop after an accident. This after, at 2.30 a.m. on a Saturday morning, he allegedly drove into a house’s fence/wall and then attempted to drive away from the scene, leaving his injured passengers behind. After charging him, senior police officers authorised the driver’s release from custody on R500 bail because he had a fixed home address and employment; was married with a 5 year-old child; had no previous convictions and no outstanding warrants of arrest; was not on bail on another case; and had not committed an offence while on bail. Before his release however he was transferred to another police station, and when his wife arrived to pay the bail she was laughed at and told no bail had been allowed. The driver accordingly spent the rest of the weekend in a police cell, where he was attacked and raped by an unknown number of cellmates, losing consciousness during the assault and scared to report the attack for fear of reprisals. He was unable to prove his allegations of a lack of cell inspections and of police failure to transfer him to another cell after he reported being warned of an impending attack on him, but there was no denial by the police of the sexual assault itself. In court the driver was released on bail and the charges against him were ultimately withdrawn. He then sued for damages, and as in every civil liability claim, needed to prove wrongful conduct by the police that had caused him harm, plus some form of fault or blameworthiness (like intention or negligence). There was a “direct and probable chain of causation” between those failures and the attack. Police liable; but what consolation damages? So the driver has been vindicated but the Court’s award to him of R200,000 in “general damages” is unlikely to go far in consoling him for the ordeal’s impact on his life. Our courts are deliberately conservative in assessing general damages, but the clinical psychologist’s evidence as to the serious psychological impact on the driver of his experience (as reported in the judgement) makes for harrowing reading. Intense trauma, Post-Traumatic Stress Disorder, ongoing treatment with anti-depressants (six years down the line), deep humiliation, intense fear of amongst other things contracting HIV, sexual problems, a broken marriage, problems relating to his child, poor self-image, personality changes, flashbacks – the list goes on. Ultimately problems at work (including being unable to work in teams and being mocked by his colleagues) led to his employment being terminated, after which he attempted suicide and spent five days in a hospital ICU. Of course none of this means that we should supinely accept vindictiveness or negligence from those appointed to serve and protect us. Media reports suggest that large claims against the police (and other government services) are regularly settled out of court for millions. Just remember that legal advice as soon as possible after the incident is essential! You want to charge one of your employees with serious misconduct so you institute disciplinary proceedings. To avoid a possible dismissal the employee resigns “with immediate effect”. Can you go ahead with disciplining the employee? Until recently the answer was no, the Labour Court having decided in such a matter that immediate resignation brings an end to the employment relationship and puts the employee beyond your reach. Employers will be relieved to know that a new Labour Court decision has reversed that. The Executive Director and Head Curator of an art museum was invited by his employer to “make written representations in respect of allegations of serious misconduct”. He supposedly then resigned immediately and without notice, and asked the Labour Court to hold that his employer no longer had any jurisdiction to discipline him, and to interdict his employer from doing so. An employee’s contract of employment comes to an end only once his/her resignation takes effect at the end of the applicable notice period (four weeks in this case). It is up to the employer whether or not to accept an immediate resignation, force the employee to serve the period of notice, cancel the contract and claim damages, reach another agreement, or waive all its rights. On the facts, the employer in this case had not accepted the “tender of notice” as an immediate resignation, and so it still had the right to proceed with disciplining the employee before the end of the notice period. The employee’s attempt to find a loophole having thus failed, he must now face his disciplinary hearing and presumably, if found guilty, the possibility of dismissal for misconduct. If you want to proceed with disciplinary action be careful to unequivocally reject any attempt at immediate resignation. Then move quickly before the end of the notice period terminates the employment contract. As always take proper legal advice on your particular matter - the complexities and pitfalls inherent in our labour laws make it very unwise not to do so. Insomnia is serious, impairing your logical reasoning, executive function, attention, and mood, with a risk in serious cases of depression, anxiety, and symptoms of paranoia. In the long run, sleep deprivation is a main contributor to the risk of dementia and Alzheimer’s disease. Chronic insomnia has even been linked to a shorter life span - it can literally kill you. And it’s common – that’s perhaps not surprising given the hectic, information-overloaded lives many of us lead. In fact, over a third of us regularly report problems with falling and staying asleep. 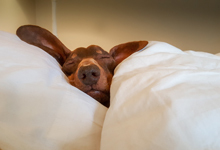 What is surprising is that there’s one group of people who reportedly sleep better than anyone else – top dog executives. In fact, the more senior a person’s role, the more sleep they get. Which seems deeply counter-intuitive – surely the higher up the corporate ladder you go the more stress you are under? And the more stress, the more lying awake at night tossing and turning and fretting? So how do these captains of commerce and industry do it, and how can everyone else join them? Mindful Magazine’s article “Senior Executives Get More Sleep Than Everyone Else” here reveals all, with some guidelines (and a simple breathing exercise audio clip) on how to achieve this trainable skill.